• Down the rabbit hole: we're going to show you how the threat landscape is really changing. • Ghosts in the machine: what Dell SecureWorks observed across it's client base in 2010, and what 'new' behaviours have been identified? Don has worked in IT for 18 years, starting with the ground-breaking Edinburgh University spin-off, Vision Group. After a successful flotation and subsequent acquisition by STMicroelectronics, Don became responsible for security architecture and operations for this $8billion enterprise. At dns Don was instrumental in the construction of identity management practice and the evolution of the MSS service portfolio. 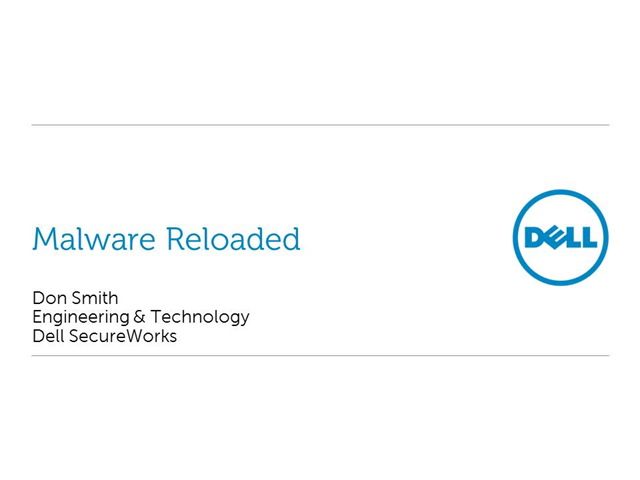 Since SecureWorks’ acquisition of dns, Don has brought Dell SecureWorks’ threat intelligence and security messages to European clients.